Apex Legends has become the titan of battle royale gaming mode in less than 2 weeks. With the player base crossing 25 million, it has taken other similar games by storm. It is not just another battle royale game that you could play and win. To be victorious in Apex Legends, you will need to improve some skills like movement, speed and teamwork. But the most important thing is the weapons knowledge. As this game is set in Titanfall universe, you will find a lot of similar weapons lying on the battlefield in Apex Legends. Knowing the specs of these weapons can really give you an edge in the match. As we know that Apex Legends is not just another conventional battle royale game. Weapons have modified basic info like Range, Damage, Fire Rate, Accuracy etc. from other games. Single bullet of Sniper rifles does not deliver a fatal blow to the enemy. Health recover system is also different from other games. Shotguns are deadlier as compared to Call of Duty Black Ops 4. Still there are some attachments and perks which can transform any ordinary gun into a deadly weapon. 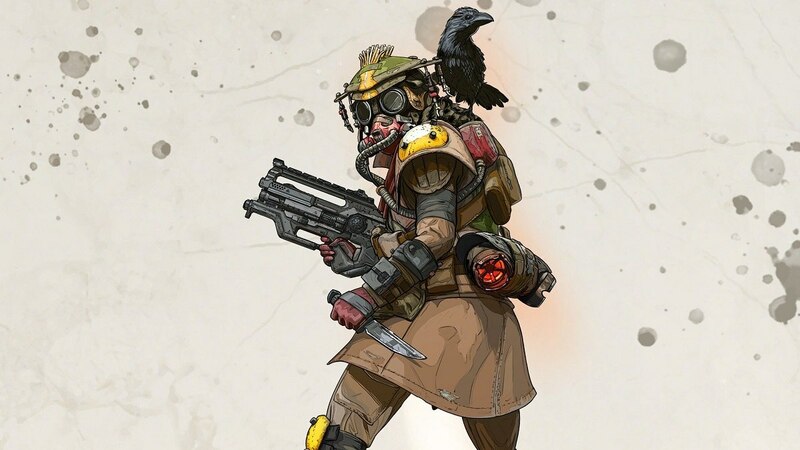 This article will guide you about the best weapons to use in Apex Legends. A classic six-shooter, Wingman is a favorite weapon of many players. This deadly handgun is loaded of heavy ammo which deliver high damage. It can be difficult to master due to high recoil but once you get a hand on it, you’ll find it to be the best pistol in the game for knocking off the opponent real quick. Plus, the Skullpiercer mod adds massive head shot damage to the weapon. If somehow you find the mod in the map with this weapon in hand, you can hear victory songs. VK-47 Flatline is one the finest weapon in the Assault Rifles category. With medium recoil and fully automatic firing mode, this gun is ideal to use in pretty much every situation. Placing the attachments like stock on it will make it more accurate. The game has not given any special “mods” for this weapon but it is safe to say that this gun does not need them. Finding Kraber on the battlefield is like winning a lottery. Probably the only sniper rifle in Apex Legends that delivers one shot kill. But there is a catch to this gun, if you run out of ammo, don’t bother carrying it around; you won’t find any more of them. To even the highest damage specialty, the gun produces a massive recoil after every shot that can leave you vulnerable during the heat of battle. So, don’t try to use it in unless you are firing from top of a building or have some obstacle to take cover. Triple take is probably the best sniper rifle of non-rare category. This elegant weapon delivers a 3-short burst with moderate damage. It may not be as accurate as you’d want it to be. But attaching precision Choke mod will reduce the shot spread. Triple Take may not be the deadliest weapon in the game but it can come handy in close combat. So, you might want to keep it in your backpack for at least half of the round. Similar to Kraber, Mastiff is a weapon that falls under rare-weapon category. It has unique bullets which inflict massive damage to enemies in tight spots. Shields and armor are no match for this impeccable shotgun. You cannot use this from good distance or in open plain where you are not that close to the enemy. But when you are sitting in a building, hearing enemy boots; equip this weapon and surprise him by delivering the death blow with a single shot. A flawless assault rifle in Call of Duty Black Ops 3 has been transformed into a deadly close-range weapon in Apex Legends. Peacekeeper was a DLC weapon that was added later on in Black Ops 3. But in Apex Legends the name has been used for rapid fire shotgun. If you are lucky enough to find its mod somewhere in the map, you are in for a treat. Peacekeeper’s mod adds good range to the weapon, making it deadlier. More than any other gun, Devotion is considered as the finest weapon available in the game by many. This Light machine can roost the entire enemy squad with a single mag. Look for its mod in the map and you can become unstoppable. R-301 Carbine is a well all rounded weapon with low recoil. Though it does not deliver high damage, players use it more often than not. Try to add some purple drops to slaps and you can get the best out of it. A semi-auto sniper rifle that can be extremely useful from a vintage point in the game. G7 does not deliver high damage like Kraber but its higher fire rate and very low recoil make it a fine weapon to be used. Last but certainly not least, Prowler is an SMG that provide high fire rate with deadly accuracy. It is a burst fire gun but you can attach hopper mod that will transform the weapon into a fully automatic sub-machine gun. Don’t try to use it from very far away as it lacks damage with increased range.